If you follow that road far enough, you end up at one of the most beautiful haunted houses I have ever seen. 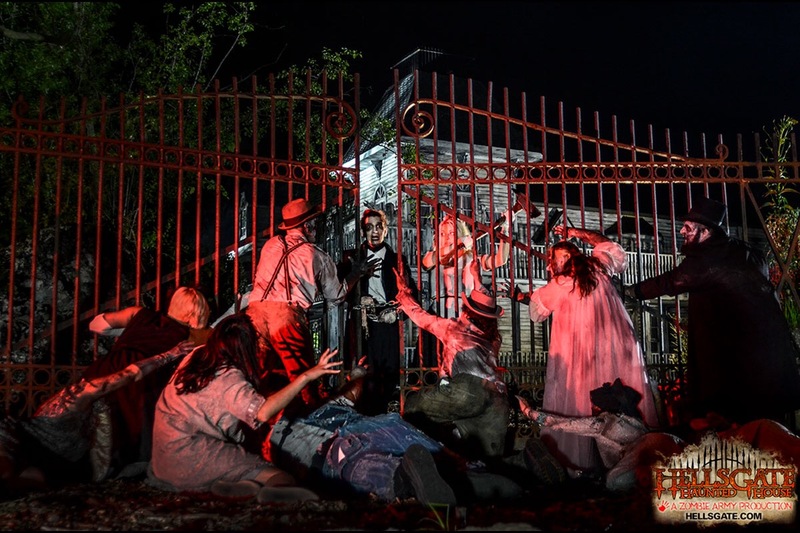 I can’t do a better job of describing the amazing amount of detail put into this haunted attraction any better than John Laflamboy and the Zombie Army did in last year’s episode of Days of the Living Dead, here: Raising Hell. 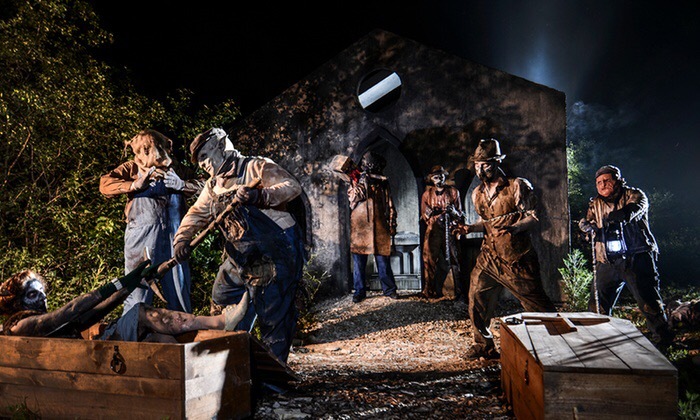 In an industry where so many of us struggle to find a usable location to turn into a haunt, that video is a breathtaking example of what building exactly to your specifications looks like. And holy poop, was it worth the effort. As someone whose haunt roots are deeply entrenched in theatrical shows, I found the level of detail to be astonishing…from the solid bannister in the first room to the wallpaper and lathe to the ceiling textures and wood beams, there’s so much to take in that I think the VIP pass should be one that just lets you walk around taking your time to see everything. We didn’t see a single thing that looked unfinished. 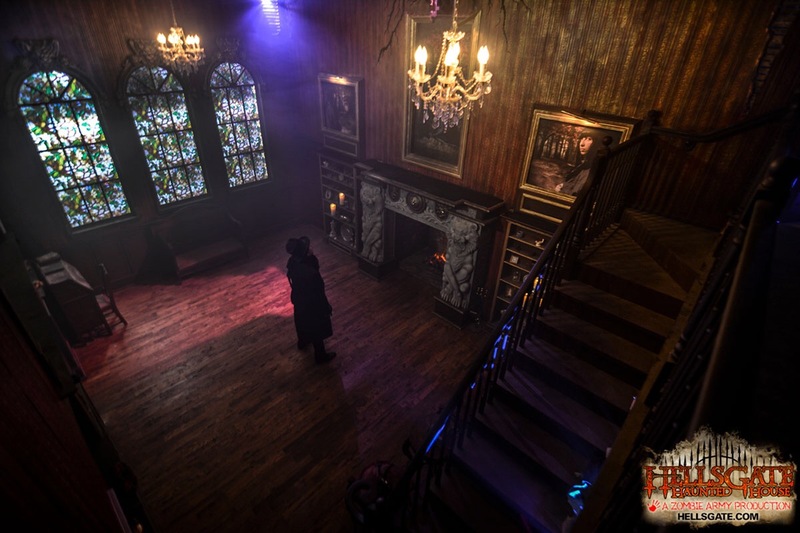 I don’t want to give anything away, so I think I’m just going to say that the opening room, the twins’ room (OMGdollhouses) and the trophy room were my favourite scenes…although the slides were a first for me and I kinda love the way one leaves the haunt! It’s my personal belief that a quality haunt should have a walk-through cemetery. HellsGate does not disappoint. They make great use of the environment and add enough creepy dangling decor to completely distract me – which, I’m sure, frustrated the actors trying their best to scare me. The cemetery is a great example of a place where you will miss things if you don’t take the time to stop and look up, or look behind you. The visuals are so, so worth it. 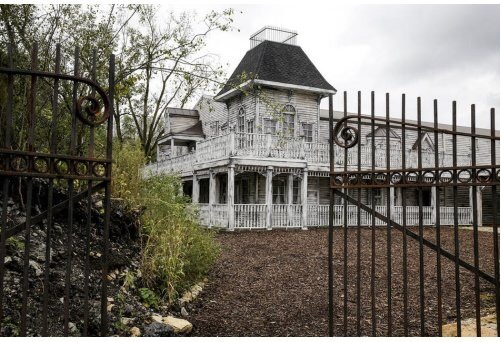 If you are a fan of Crimson Peak-esque horror, if you love high detail, if you long to visit a place that feels real, you need to get yourself out to HellsGate. …I can’t wait to go back.